China and Japan have joined several African states in pledging support towards peacekeeping operations on the African continent. Japan, which still has a post World War II pacifist constitution, has pledged US$40 million and engineering equipment to support African Union and United Nations-led missions on the continent. 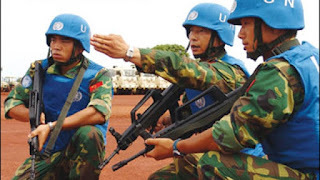 The Asian nation, cannot dispatch soldiers to peacekeeping missions as it is not allowed by its 1945 constitution to take part in military missions abroad. During the African Regional Meeting on Peacekeeping operations held at the Ethiopian Peacekeeping Coordination Center in Addis Ababa, Ethiopia last week, the Japanese Embassy in Addis Ababa disclosed that it would provide the heavy equipment as soon as possible. China, whose influence is growing increasingly on the continent, has pledged to continue providing troops for peacekeeping missions. “China is committed to Africa’s stability. We will continue providing soldiers to maintain peace in Africa. At the moment we have 2, 600 soldiers serving in several peacekeeping operations in Africa,” said a Chinese official at the meeting. China sent a uniformed delegation of senior officers from the People’s Liberation Army to the two-day meeting. The country’s role in peacekeeping operations in Africa is increasingly being tied to its huge appetite for Africa’s minerals which is badly needed for its growing economy. 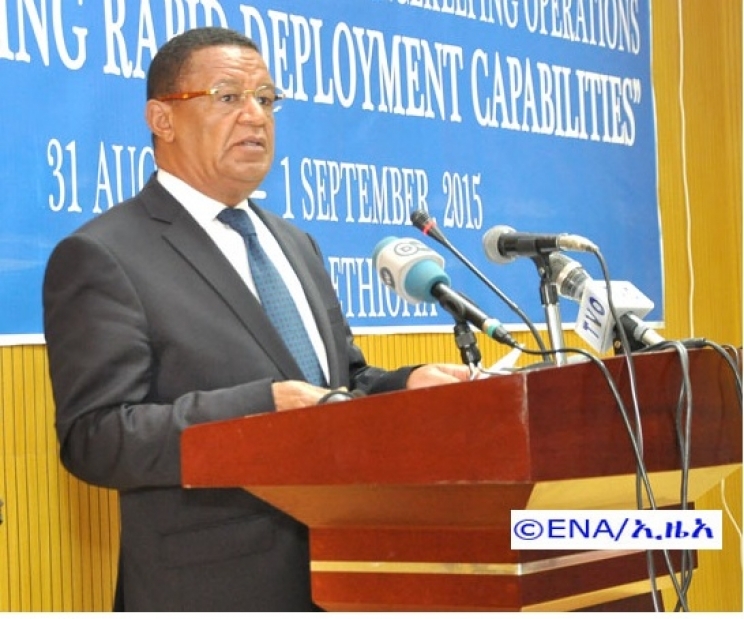 The two day meeting was opened by Ethiopian President Dr. Mulatu Teshomo and brought together Defence Ministers and Chiefs of Staff from over 30 African countries and 10 foreign donor countries such as China, Japan, USA, UK, France and others. The meeting, which was jointly organised with the United Nations,, was hosted to find ways of increasing the rapid deployment capabilities of African countries. United Nations Military Advisor on Peacekeeping Operations General Maqsood Ahmed said the global body is facing challenges in deploying troops quickly when a crisis breaks out. “It is not easy to quickly deploy forces on the ground. It takes 30, 60 or 90 days to mobilise, deploy and operationalised peacekeepers. 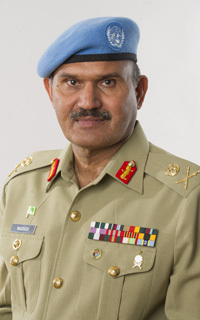 We need to fasten the process to save lives and maintain peace,” said General Ahmed, a Pakistan military chief who has vast experience in peacekeeping operations worldwide. During the meeting, US Assistant Secretary of State Victoria Holt called for the protection of civilians in conflict areas. “We have so many people who are affected in conflicts. However, what is of paramount importance is the protection of civilians. We should ensure that when we deploy forces, their mandate must be to keep the peace and protect civilians,” said Holt. Cameroon, Burundi, Liberia, Madagascar and Sierra Leone are some of the African countries that pledged battalions, platoons and Police units to beef up the existing and future peace missions. Zambia, which was represented by Defence Minister Richwell Siamunene and senior Army and Air Force officers, pledged to continue supporting peace missions. “I want to reaffirm my country’s commitment to the maintenance of peace on the continent. Your Excellencies, Zambia has sent peacekeepers to Liberia, Sierra Leone and now Central Africa Republic,” said Mr Siamunene, as he addressed the gathering on its final day. Meanwhile, the African Union has disclosed that the long awaited operationalisation of the Africa Standby Force is scheduled for October in South Africa. African Union Commissioner for Peace and Security Smail Chergui says the standby force will be able to quickly deploy anywhere in Africa to respond to conflicts and emergencies. “We are hopeful that once this force is operationalised, we will be able to respond to crises quicker and promptly anywhere on the continent,” said Mr Chergui. The meeting heard from experts that of the various regional standby military brigades, East Africa and West Africa had advanced while other regions were still struggling to make their forces ready for action. Since attaining its independence from Great Britain in 1964, Zambia has always relied on China on major infrastructure development projects which are now dotted across the country. This ‘look east’ policy has made the relations between the Asian giant and the southern African country best of friends in the past five decades. Two huge sports stadiums, dozens of roads, dozens of hospitals and school infrastructure dotted around the country have been constructed by various Chinese firms over the past decades. All the first four presidents of Zambia had a good relation with China but the rise of the then opposition Patriotic Front (PF) posed a great challenge with the possibility of it running the country one day. During his 10 years as a opposition PF President, the late Michael Sata campaigned heavily against the Chinese investment in Zambia. Mr Sata’s popularity in urban areas and in the mineral-rich Copperbelt province became a thorn in the eyes of successive MMD administrations. The firebrand opposition leader who was nicknamed ‘King Cobra’ because of his outspokenness, campaigned against alleged Chinese mistreatment of workers, human rights abuses and cheap Chinese labour which he saw as a hindrance to the empowerment of local Zambians. In his campaign messages, Mr Sata even promised to recognize Taiwan at the expense of China if he was elected Zambia’s president. However, when he was eventually elected Zambia’s fifth republican president in 2011, Mr Sata softened his anger on China. Within a week of being inaugurated as head of state in September 2011, the Chinese Ambassador to Zambia was the first foreign envoy to visit him at State House to hold one-on-one talks. 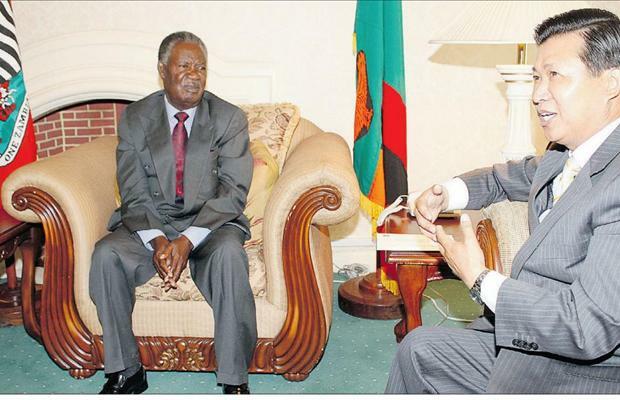 In his three year reign, Mr Sata reduced his criticism of China as they became his partner in developing Zambia. He eventually went on a 15 day state visit to China and during his reign, the Chinese invested heavily in sectors such as construction, agriculture, manufacturing and education. And with the death of Mr Sata in October 2014, many observers have wondered whether China’s policy towards Zambia will change or not. But from the look of things, the Chinese are here to stay. And their stay is expected to be long term. The Ministry of Home Affairs recently announced that there were 19, 845 Chinese nationals in Zambia and 11, 267 of them had employment permits. This is the community Zambia’s new President Edgar Lungu needs to embrace if he is to be seen as a pro-China head of state like his predecessor. Soon after his election in January 2015, President Lungu received one of his first international congratulatory messages from the Chinese government which pledged to continue on its path of co-existence and bilateral engagements. China’s continuation on its policy in Zambia was further confirmed when that country’s Vice President Li Yuanchao sent a congratulatory message to Zambia’s new Vice President Inonge Wina who is the first ever female Vice President in the country. “I learned with great pleasure the news of your assuming the office of the Vice President of the Republic of Zambia and would like to extend to Your Excellency my sincere congratulations,” read part of Mr Li’s message as released to the Zambian media by the Chinese embassy in Lusaka. During his state visit to Zambia in mid 2014, Mr Li reiterated his country’s commitment to Zambia’s political dispensation by funding the ruling Patriotic Front (PF) -owned non-governmental organization called National Project for Poverty Reduction (NPPR). NPPR offers skills training to hundreds of women and youths on an annual basis and its programmes are aimed at empowering ruling PF members with entrepreneurial skills to create their own employment and raise income. 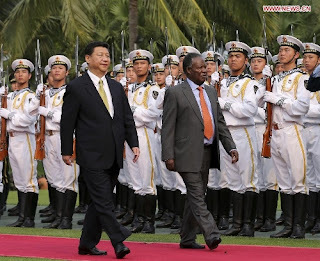 And during the commemoration of the Chinese Lunar New Year of the Goat on 18th February, 2015 in Lusaka, the Chinese embassy showed its first signal that relations between the two countries will not be affected by the death of Sata. Chinese Ambassador to Zambia Yang Youming said his country expected to see greater success in Zambia under the leadership of Edgar Lungu. “Looking into the New Year, our two countries have many things to do together. I believe with our joint efforts, the cooperation in the political, economic and trade, military, education and culture fields will be further strengthened and the all-weather friendship between the two countries will be further deepened,” said Mr Yang. He also disclosed that Zambia’s trade with China in the first 11 months of 2014 increased by 0.8% to reach a historical height of US$3.5 billion. With China’s appetite for Africa’s minerals growing, Zambia’s status as a major supplier of copper is expected to continue beyond Sata’s death. According to official figures released on 19 February, 2015 by the Central Statistical Office (CSO), Zambia’s data agency, China is only second to Switzerland as the major recipient of its copper from 2010 to 2014. “The top four major buyers of Zambia’s copper in order of ranking are Switzerland (61.1%), China (25.6%), United Kingdom (2.8%) and South Africa (2.6%) share of total copper export earnings annually,” read the CSO statement. China’s investment is all over the sectors of the Zambian economy from health, manufacturing, to education, construction and retail trade. However, China expert Sombo Chunda says the Chinese have overstretched their limits to start doing simple jobs that Zambians are able to do. “The Chinese policy towards Zambia will not change with the death of President Sata. However, these people should have been allowed to only do big jobs that Zambians can not do. Not to start selling cobs of maize and chickens in the markets and running farms. 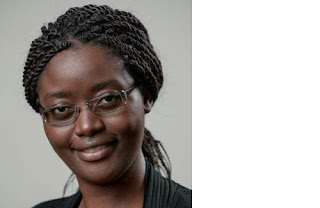 That is not good investment,” said Ms Chunda, who is also Country Representative for Diakonia Zambia, a Swedish NGO working on developmental issues in Zambia. At the Soweto Market in Lusaka, Chinese nationals are usually spotted as early as 04:00hrs selling broiler chickens and fresh maize from their farms but they disappear soon after sunrise. And ActionAid Zambia Country Director Pamela Chisanga has found the way the Chinese conduct their investments in Zambia a bit worrisome. “Their long term investment opportunities are good for the nation. However, they believe in getting investment opportunities at all cost. And most of the corruption in now happening with Chinese investors who are easily harassed by political parties because of how they conduct their businesses,” said Ms Chisanga. Apart from copper, the Chinese have also diversified their imports from Zambia to the forestry sector where they have become a major player. Several Chinese nationals have been arrested and taken to court for illegally failing and trying to export the banned rosewood which is locally called Mukula. This tree, which grows in hills, is said to be sought after by the Chinese for its medicinal benefits and its demand has grown to levels where thousands of the tree are illegally cut and taken out of the country without the authorities detecting it. “Policing the Mukula tree has because a thorn in the eyes of the government because they do not have enough man power and equipment to enforce the law in the forests,” said Chunda. According to Zambia’s Forest Act, once someone gets a permit to fell a tree, he is supposed to be accompanied by a forestry officer to monitor the process but due to lack of man power and equipment, the Chinese take advantage of this anomaly and go beyond their legal limits. And in a sign of their “good” relations, the Chinese and Zambian Presidents held official talks in Beijing to cement their decades old alliance. On 2nd April 2015, President Lungu returned home in a joyous mood after a two weeks visit to China where his ministers signed various deals with China on infrastructure development and trade. 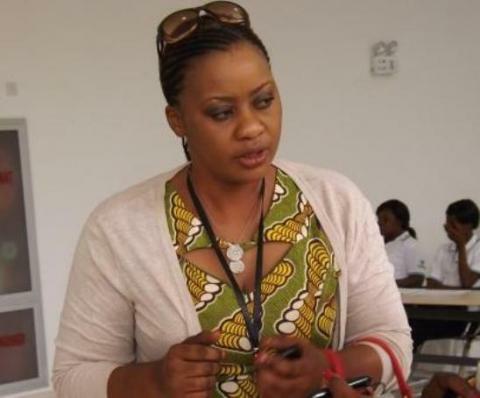 Zambia’s Commerce Minister Margaret Mwanakatwe announced that US$3.2 billion in investment pledges were secured during President Lungu’s maiden trip to China.